Cuban students march on the US Interests Section in Havana during the Elian Gonzalez crisis in 2000. I made this picture during my first visit to Havana*. In December 2014, President Obama dragged America's foreign policy into the 21st century when he announced a normalization of relations with Cuba. At the same time, he set in motion a loosening of the US trade embargo against Cuba. Almost immediately, American businesses started taking advantage of the openings. The Minnesota Orchestra travelled to Cuba for a series of concerts, Conan O'Brien brought his TBS show to Cuba. Sun Country Airlines, soon joined by other American flagged carriers, started flying to Cuba. 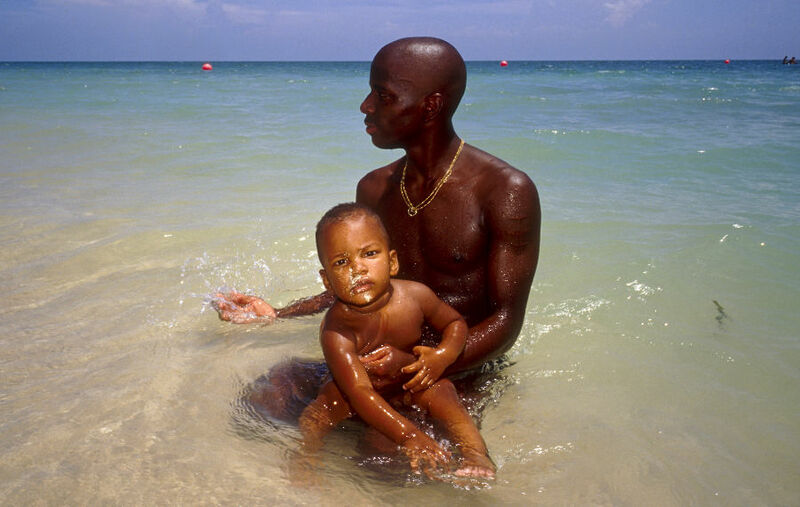 Father and son on a beach in Trinidad, Cuba. Some reactionaries in the Cuban-American community were outraged by the President's decision. They complained that the Cuban government was a state sponsor of terrorism and had a deplorable human rights record. These concerns may have masked their true concerns, which was losing their (and their families') special status in Cuba. When upper and middle class Cubans fled the island in the late 1950s and early 1960s, the Castro regime expropriated many of their properties and businesses and turned them into public housing (in the case of seized residences) or state enterprises (in the case of businesses). 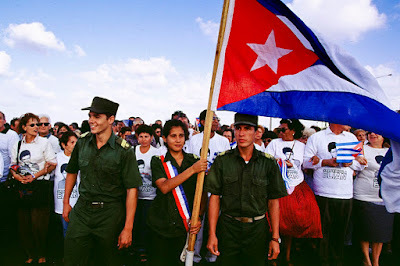 The Cuban emigres object to any normalization of relations with Cuba until their property issues are addressed and resolved (in their favor). Since they are a vocal minority in the GOP and a large voting bloc in Florida, their influence is far greater than their actual numbers indicate. On the beach in Trinidad. While most Americans were prohibited from freely traveling to Cuba or spending money there (under the terms of the "Trading With the Enemy Act"), Cuban-Americans were allowed to make annual trips to the island to visit family and to send money from the US to family members in Cuba. The comparatively easy access to US dollars means Cubans with family in the US lived much better than those without familial ties to the US. Cuban cowboys at a rodeo in the countryside. Despite opposition from the American radical right, President Obama persisted and his opening was a success. American businesses were doing business on the island and American travelers visited the island in increasing numbers. Then came the 2016 election and the shocking win of Donald Trump. Trump campaigned against President Obama's Cuban policy and right wing Cuban-Americans flocked to his side. Last week, Trump announced he was rolling back President Obama's openings to Cuba. The most immediate impact will be on travel to Cuba. A Cuban woman on her wedding day at a Cuban government wedding office in Havana. 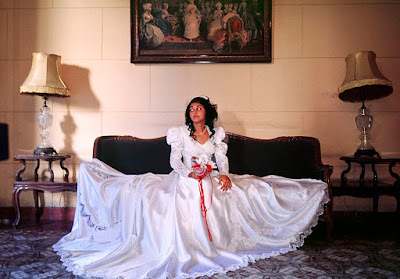 Many Cubans were married twice, once in a civil ceremony and then again in a church, if they were religious. I think Trump's decision to roll back President Obama's Cuba policy is a mistake. Trump cited Cuba's human rights record and other Cuban canards as justification for his policy shift. If Trump was really concerned about human rights, he would be rolling back US relations with Egypt, Saudi Arabia, and Bahrain, nations that have much worse human rights records than Cuba. If he was concerned about terrorism, again he would have to look at Saudi Arabia since 15 of the 19 terrorists who attacked the US on September 11 were Saudi nationals. Trump extols the virtue of autocratic leaders, like Putin (Russia), Erdogan (Turkey), al Sisi (Egypt) and Duterte (Philippines). They all have wretched human rights records. This exposes his concern about Cuban human rights as a fraud. It was interesting that Trump did not mention his own failed efforts to open hotels in Cuba. Newsweek reported in October 2016, that in 1999 the Trump organization engaged in secret and back channel negotiations with the Castro regime to open properties in Cuba, a clear violation of US law. Trump's rollback of travel regulations means Americans who travel to Cuba will have to go in large packaged tour groups. This is exactly what the Cuban government wants because it means Americans will be on predictable routes, seeing the people and sights the Cuban government want them to see. There won't be many Americans wandering independently, having private contacts with Cubans and talking about touchy issues like democracy and economic freedom. Finally, our allies, every single one of them, trade openly with Cuba. Canada and Mexico have wide ranging economic relations Cuba. Thousands of tourists from both countries go to Cuba every week. The UK and EU trade with Cuba. The United States is alone in its lack of relations with Cuba. A Santeria ceremony in a Havana home. I'm not excusing or condoning the Cuban government's human rights' policies. I am suggesting that they need to be put in perspective. Human rights are held in higher regard in Cuba than many other countries the US works with. Cuba has an excellent education system and does the best they can with health care (given the US embargo may block many medicines from reaching the island). Cubans are not massacred in nightclubs by terrorists with easy access to military grade rifles. They're not gunned down in random drive by shootings in their urban areas. If Trump was really concerned by human rights and the economic opportunities of regular Cubans he would expand President Obama's opening to Cuba, not narrow it. 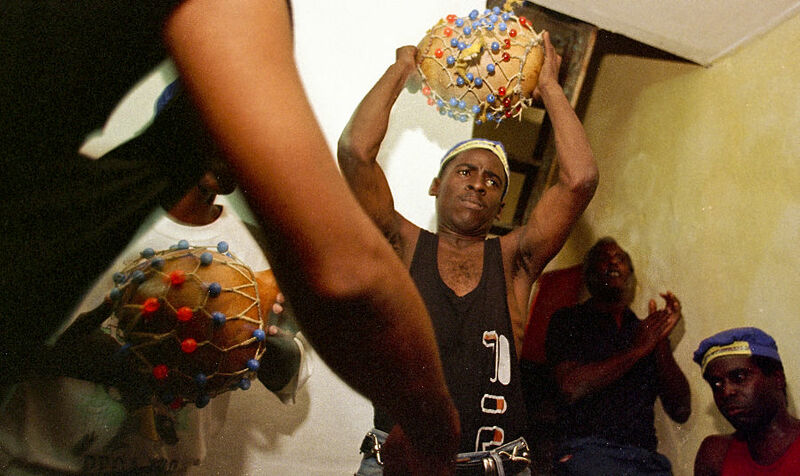 *I went to Cuba several times in the early 2000s, before travel restrictions were lifted. Even then, Americans were allowed to travel to island (which is less than 100 miles from Florida) if they traveled under certain conditions. I traveled as a student with the Maine Photographic Workshops (now Maine Media Workshops). 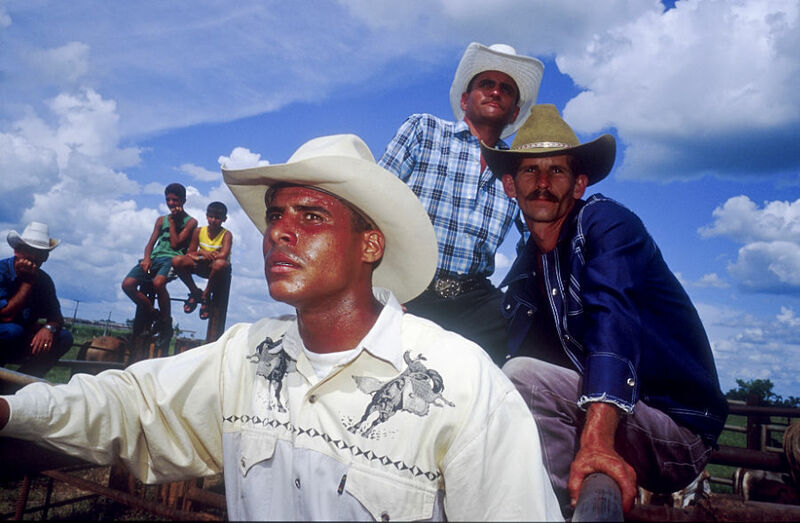 During the few years the Maine Workshops traveled to Cuba they brought hundreds of American photographers to the island for workshops with industry leading photojournalists. I was a student in workshops taught by Maggie Steber and Bob Krist.